The west of Ireland has long been a magnet for writers, artists, playwrights and musicians – all inspired by the soft light, the gentle mists and almost ethereal scenery, so let yourself be enchanted. Tradition is alive and well, especially around the Gaeltacht (Irish-speaking) areas of Galway, Mayo and Donegal, where you can happily converse in English or try your hand at learning to speak as gaeilge (in Irish) with the locals. The islanders off the Atlantic Coast, in particular, embrace their rich cultural heritage in their everyday lives, with many still living off the land, surrounded by ancient stone walls as they tend to their livestock, or trawling the pristine ocean for fresh fish and shellfish. Much of the West's landscape is blanketed in naturally wild bogland, which boasts a unique multi-hued flora and fauna that spreads across undulating vistas and oozes a mesmerizing and soothing scent. For hundreds of years, this amazing land has also been dug by hand with sods of turf dried and burnt as fuel. The aroma is unmistakeable, and one that warmly welcomes you to the fireside in many pubs, restaurants, hotels and B&B's across the area. Explore the extensive coastline, which snakes from savage rocky cliffs and inlets with crashing ocean waves into calm, glassy bays adorned by golden sands. 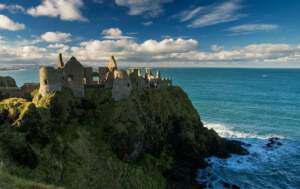 The West is a voyage of discovery and includes some of Ireland's most iconic sights, such as the dramatic Cliffs of Moher, County Clare, the startlingly beautiful, Connemara National Park, County Galway, and the awe-inspiring Slieve League Cliffs, County Donegal. The hustle and bustle of Galway city is certainly not to be missed, with the atmosphere reaching fever pitch during its many festivals. 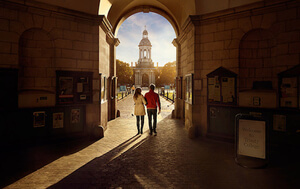 There’s plenty to amuse and explore inland too – the mountains and heather-dusted moors of Donegal the peaceful River Shannon, which meanders its way through Leitrim, Offaly and Limerick; the literary landscapes of Yeats County Sligo; and the impressive castles and stately homes of Roscommon, Tipperary and Mayo. 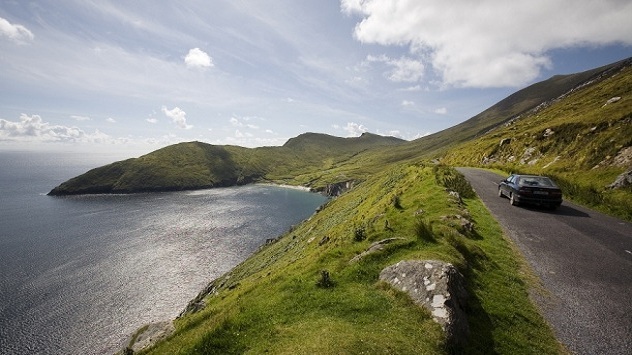 Go on, soothe your senses with a trip to the wild and wonderful West of Ireland. Leave Newport, County Mayo, along the shore of Clew Bay, on the N59 south for Connemara, County Galway. 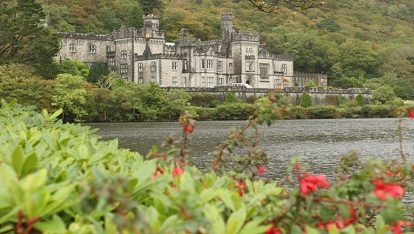 Stop at Kylemore Abbey, beautifully situated overlooking a lake. Originally a millionaire’s mansion, it’s now home to Ireland’s Benedictine nuns. Spend the rest of your day exploring Connemara. In the mountains of the National Park you’ll find adventure sports galore, or you can take easier option and laze on any one of the sparkling white beaches that fringe the coastline. We recommend an overnight stay in the pretty fishing village of Roundstone, County Galway. Follow the N59 from Roundstone leading to Galway city, which enjoys a strong artistic heritage and boasts a rich arts and culture scene, so take time out to wander around before getting back in the car. 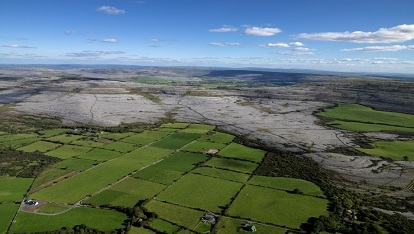 Find your way to the N18 and R460 and head towards The Burren in County Clare, which boasts a magical Karst limestone landscape scattered with ancient settlements, tombs, and enchanting flora and fauna. 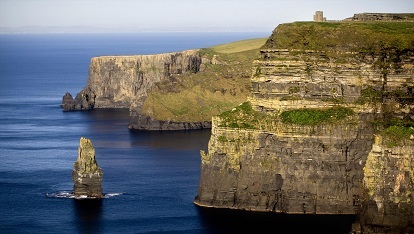 The Cliffs of Moher to the west are unmissable and literally bring you to the edge of the world. Lahinch, a little to the south, is a good place to overnight, with yet another amazing beach that surfers will adore. From Lahinch, it’s a short drive north to Doolin, which is often referred to as the capital of Irish traditional music. After you’ve tapped your feet to the sound of the bodhran (small Irish drum) and fiddle, make your way to the harbour, park the car and catch the ferry to the Aran islands. Just 20 minutes later, you’ll find yourself besotted by the warm and wonderful sense of tradition here, with a wild beauty that captures the soul. Try to spend the day exploring the islands and their landscapes of limestone rock. A veritable outdoor museum of artefacts and cultural importance, the first language is Gaelic, but the failte (welcome) goes far beyond words. 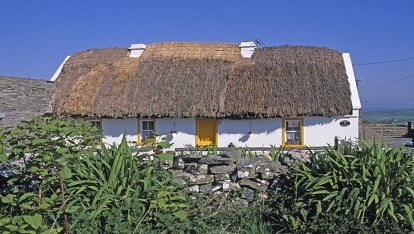 Overnight on the islands or in Doolin, County Clare the choice is yours. On to Sligo from Doolin, using the N67, N18 and N17. Ancient history lovers may wish to divert to the Ceide Fields site at Carrowmore, County Mayo. It will extend today's journey considerably but as this is Ireland's largest megalithic site boasting over 60 tombs, plus a fascinating heritage centre relaying tales of our ancestors from 200 generations ago, it is definitely worth it. Next stop is Sligo town, which has a long and enviable literary heritage. The town's most famous son was the poet WB Yeats, and the surrounding area is full of reminders as to why he was so inspired to write his beautiful works. 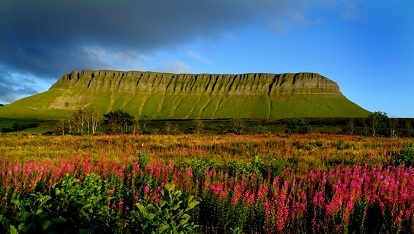 Yeats is buried at Drumcliff just to the north of Sligo town, with his grace marked in the shadow of Benbulben Mountain. You may also want to wander around nearby Lissadell House and Gardens, an inspiration for the poet, who often spent time there. From Sligo town, journey north to Donegal along the scenic N15 coastal road. 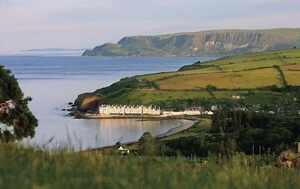 Break your journey with lunch in pretty Donegal town, which lies along the River Eske and sports the Bluestack Mountains as an impressive backdrop. 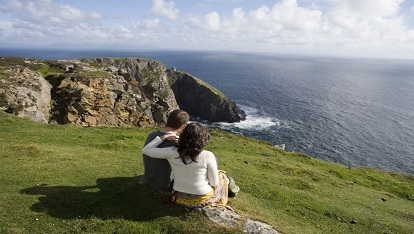 Then go eastbound on the N56 and R263 to Slieve League to marvel at Europe's highest sea cliffs. Head inland again to Glenveagh National Park - this huge area of mountain, lake and forest is a great place to spot wildlife - from red deer to recently re-introduced Golden Eagles - and marks a beautiful end to your journey. It's a relatively short trip on the N56 east through Letterkenny, and then the N13 and A2 to Londonderry, where you can relax and unwind in some of the city's excellent pubs and restaurants before heading home. - Do a Donegal Bay Sea Safari where you can get up close to the wildlife; take a detour up to the Bloody Forelands, or head to the Glenties in Donegal. 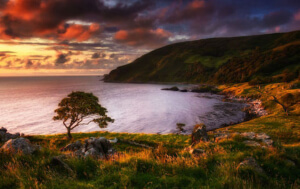 - Check out Achill Island off the coast of County Mayo. The largest of Ireland's islands; habitation dates back to Neolithic times and the Michael Davitt Bridge joins it to the mainland, so you can bring your car with you. - All aboard the steam train at The Cavan & Leitrim Railway Dromod, County Leitrim. - The Medieval Bunratty Castle, County Clare, runs along the Shannon Estuary and is wonderfully furnished with tapestries, artefacts and paintings - make sure to explore the Great Hall, the dungeons and the four towers. - Renowned as Ireland's prettiest village, Adare, County Limerick is picture postcard perfect and a joy to visit. - King John's Castle is a 13th century Castle in Limerick city. Discover history at its best, magnificent views and life in Norman times. 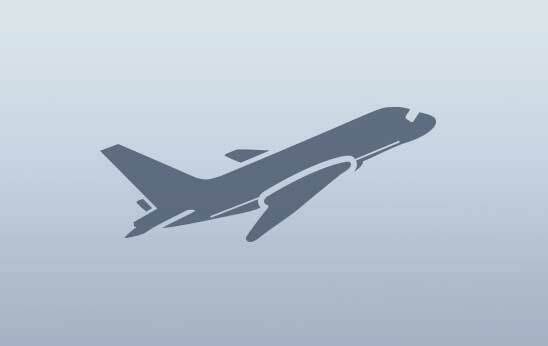 - The Hunt Museum in Limerick City, exhibits one of Ireland's greatest private collections of art and antiquities.